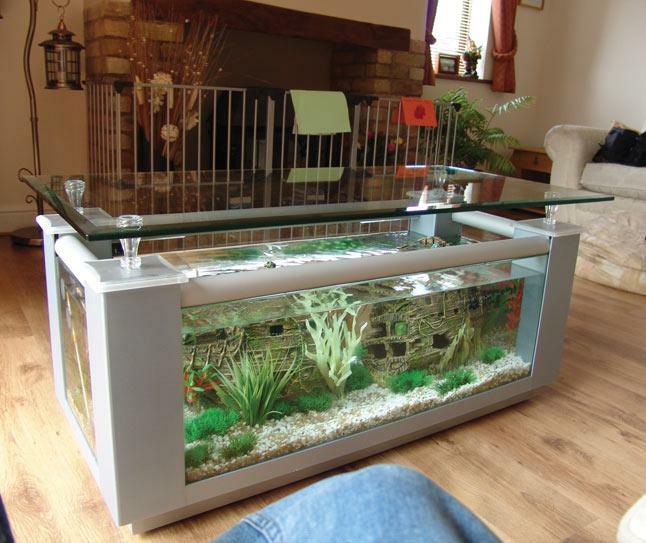 This glass aquarium coffee table is made in the UK and comes with a standard warranty of 12 months, constructed in 10mm glass with silicone bonding the filtration end is covered in aquarium safe mirror. 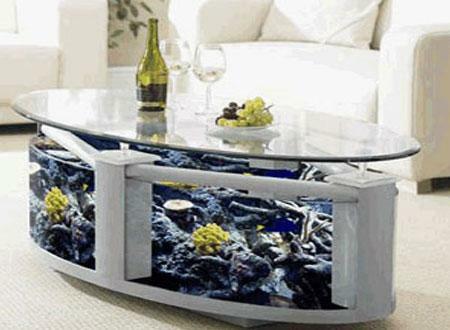 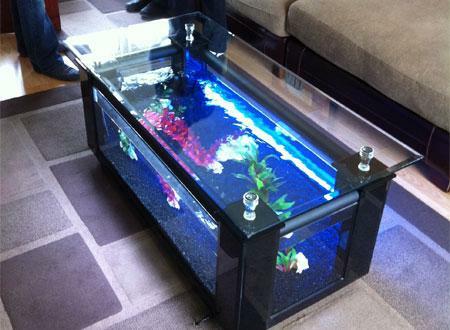 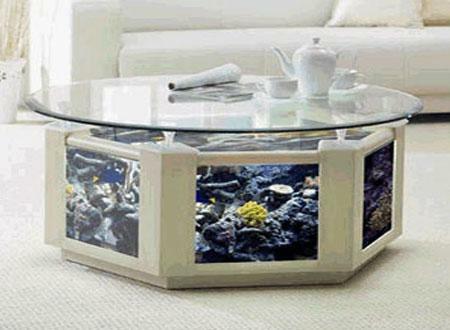 This aquarium coffee table can add a calming effect in your home or business. 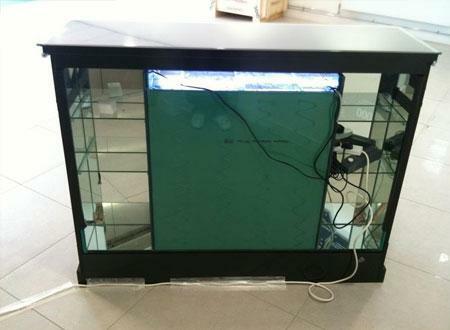 All equipment used i.e. 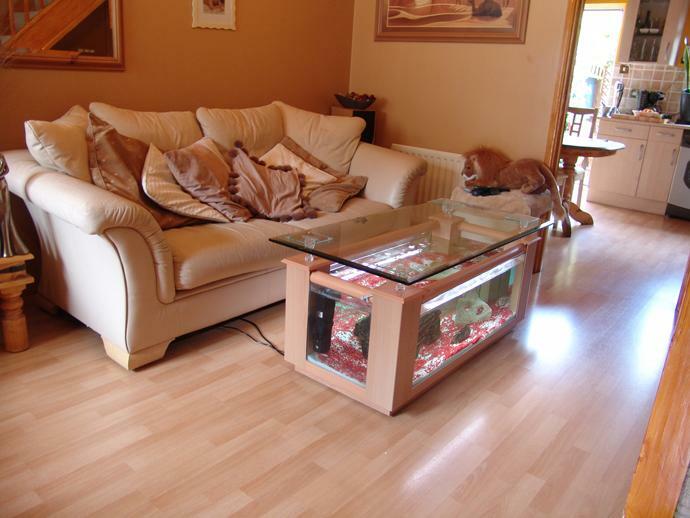 ; filtration, heating, lighting etc are all pre wired to a power management system so ONLY ONE mains cable will come from the table to your power supply. 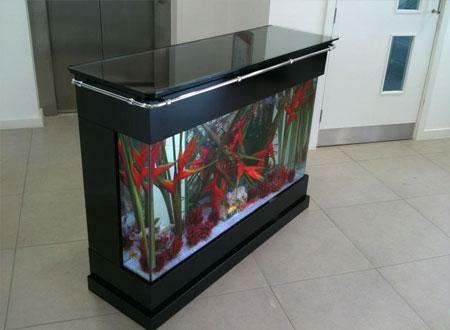 The aquarium bar table with a piano black finish is a stylish designer piece of furniture made from toughened 12mm glass, giving pleasure to both you and your fish,it can be used as a stand alone bar counter or as a designer aquarium to suit any room,this is a magnificent example of AQUA-TECH UK's desire to bring beauty and harmony to every home or business at affordable prices. 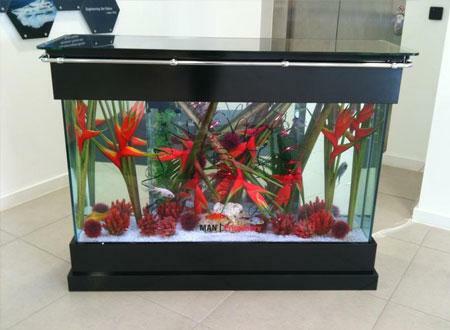 SORRY THIS AQUARIUM IS OUT OF STOCK, PLEASE CONTACT US FOR AVAILABILITY DATE. 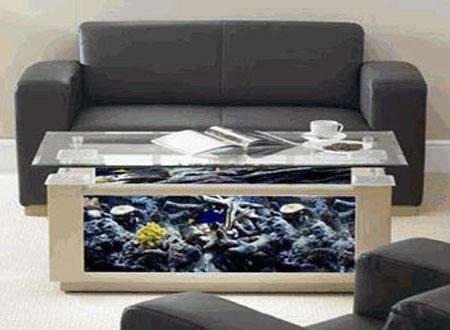 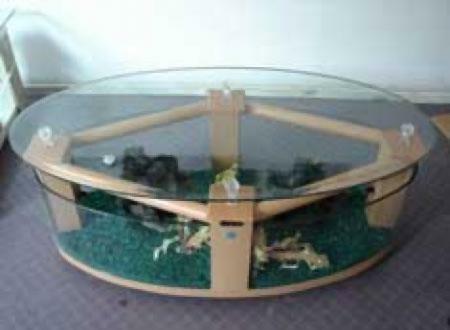 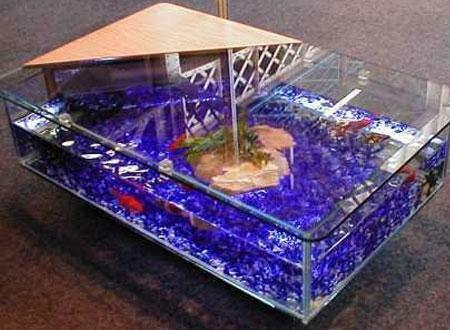 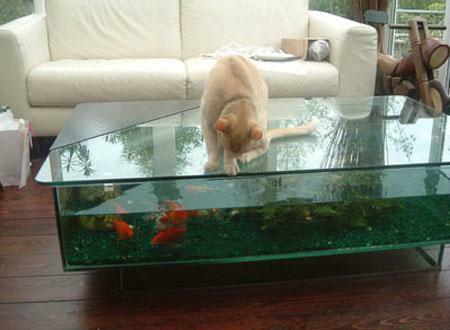 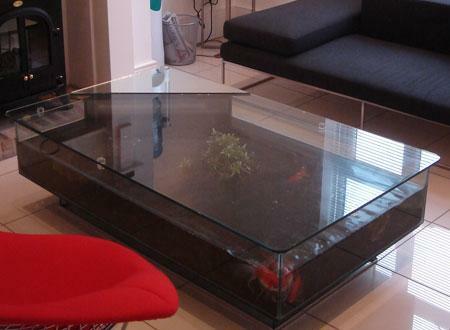 The coffee table aquarium comes with a toughened glass top that has polished rounded edges. 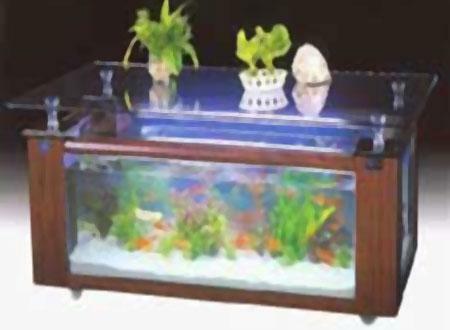 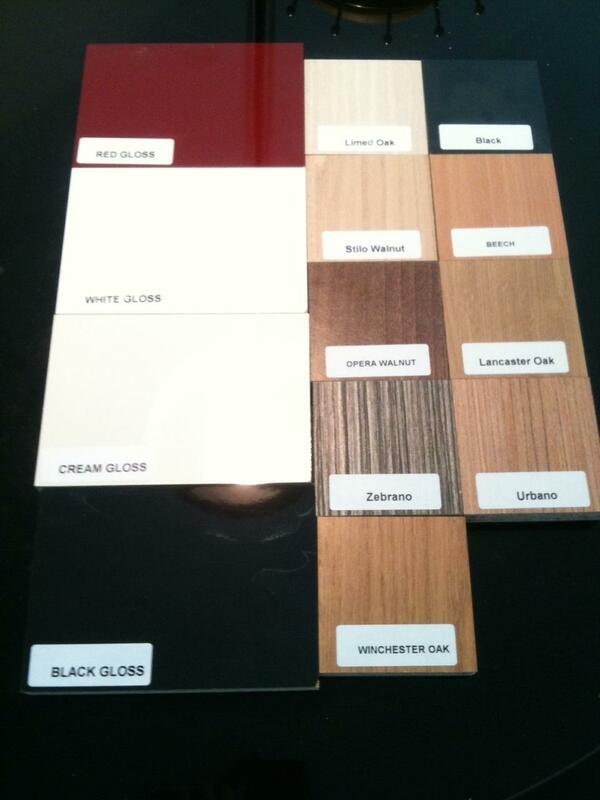 It has either a reproduction style wooden or mirror corner section that covers the filter and lighting system. 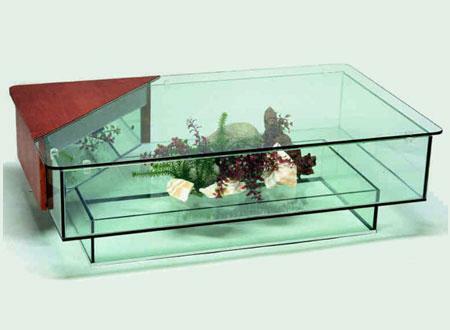 All of the coffee table aquariums come complete with powerhead filtration, light diffuser, fine and coarse biological sponges, plastic filter cover and acrylic table top support blocks.